Turf maintenance includes covering large and exposed areas of turf such as golf courses, stadiums and race tracks, etc, during times of no use and especially during the winter season. Turf covers improve the health of the turf by retaining moisture against winter desiccation, by trapping heat and guarding against freezing and cold damage, and by creating a greenhouse effect that promotes deeper root growth and early spring greening and seed germination. Protecting your turf during non-use means more premium time available for use in season. 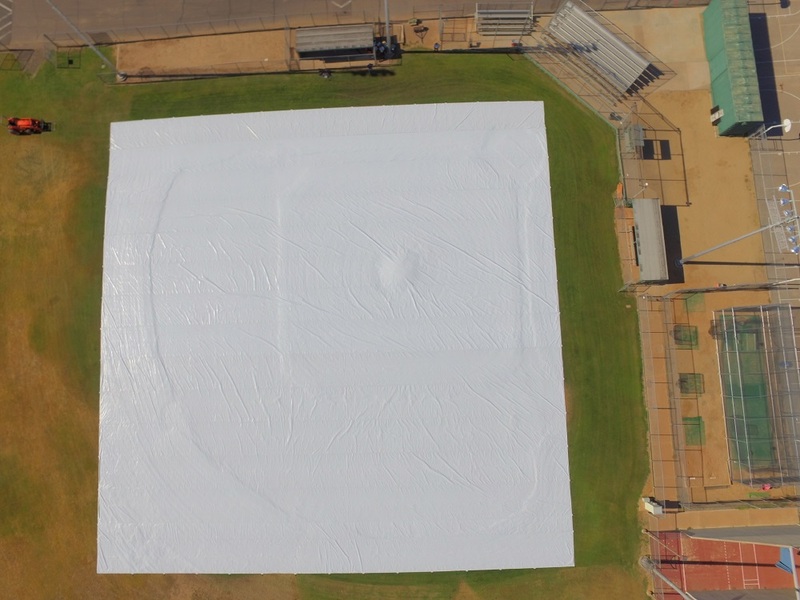 Western Environmental Liner manufactures large and custom shaped covers for putting greens, large areas of turf and multiple athletic field uses. Our covers are made from large panels to minimize the number of seams, and are coated with our proprietary finish to enhance tear and abrasion resistance, longevity, seam strength and UV resistance. With pull handles on all sides and corners, our turf covers are easy to spread and refold. They are made completely in the USA, and woven from our own Aqua line of Reinforced Polyethylene (RPE) - we are one of the largest suppliers of RPE in the world. We also manufacture several gauges of permeable geotextile, and supply and install liners and covers for optimal water protection and management in numerous large-scale applications. Western Environmental Liner is more than 30 years old with its roots in agricultural water control. We have 3 factories across the United States, and multiple service areas to respond quickly to your most unique needs.